Since I still had some left over veggies from last week’s burger party with my family and they still looked really fresh, I wanted to use it before it goes bad. I thought about making a BLT sandwich, but I looked in my freezer and saw an unopened box of Gorton’s Battered Fish Fillets that I bought over a month ago, but never had a chance to enjoy. 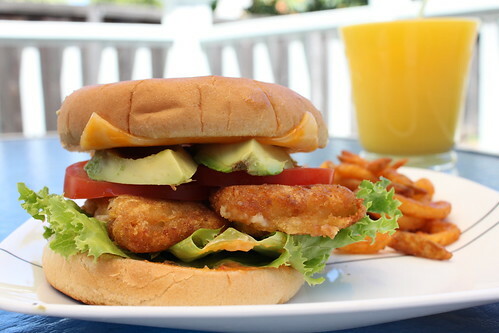 I decided to make my own version of a Fish Burger. 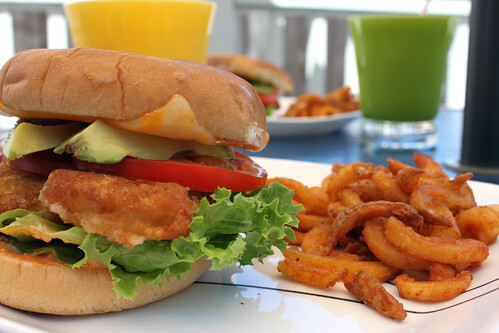 For this recipe, I just followed the baking instructions on the box, assembled the burger with the ingredients I have available in my fridge, and voila…My wife and I enjoyed delicious crispy Fish burger for lunch in less than 30 minutes. I also brewed some black tea earlier in the morning, so I decided to make some Lime Iced Tea to go with this yummy lunch.